Close to the buildings there is still much original nature. 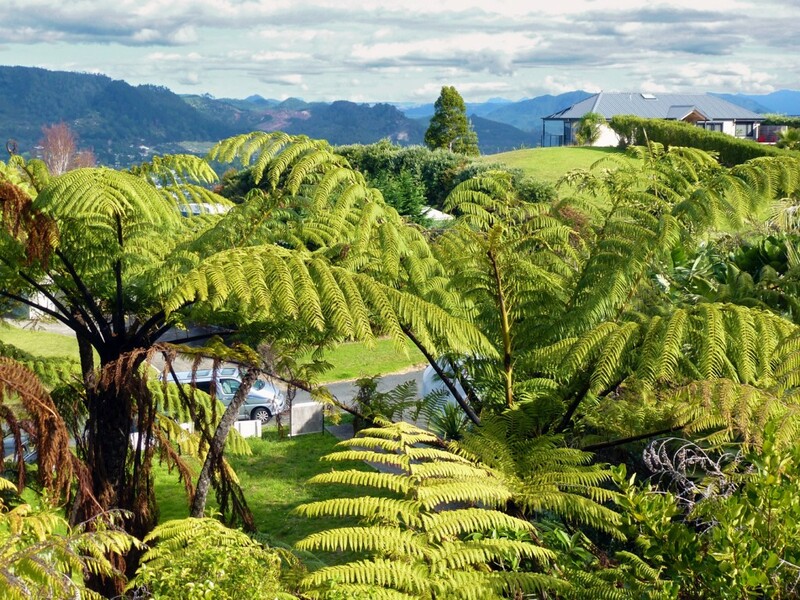 Here, for example, some large fern trees typical for NZ. It’s a view down at the opposite side of Paku Hill.